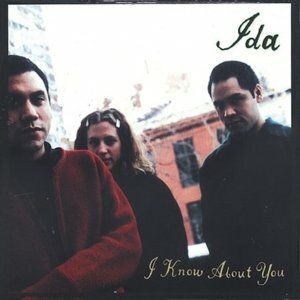 This is the first Ida record that my ears had the privilege of hearing back in 1998. It's overwhelmingly beautiful in every regard, with songs that have an amazing ability to turn simplicity into some of the most graceful songs ever written. There's really not a bad song on here; in fact, I would wager to say that each song has it's moments of brilliance. Ida will provide you with a some great singer/songwriter style folk with dual vocal harmonies and great guitar work. A few of the tracks employ drums and bass to bring a powerful dynamic into the fold. The tones and recording perfectly translated here, even down to the tremelo ridden electric guitar used on some tracks. If I attempted to describe every song on this record it would wind up be a very long review. This is, quite honestly, one of those "you have to hear it for yourself" sort of things. Maybe it was 20 year old self back then that fell in love with this record; but 13 years later I still connect with it as always. Do yourself a favor, this record will change your life.